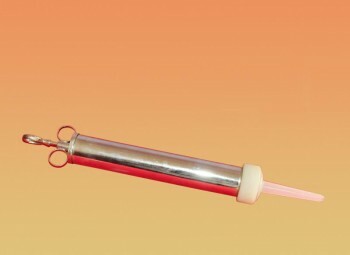 Thaila vasti syringe having capacity 250 ML with stainless steel body and plastic head. The vasthy tip will be screwed at the edge. The vasthy tip is disposable.